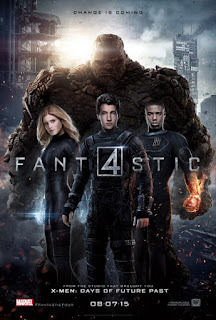 Fantastic Four is a 2015 superhero movie and science fiction film from director Josh Trank. It is the third film in 20th Century Fox's Fantastic Four film franchise, and it is also a reboot of that franchise. Fantastic Four 2015 follows four young people whose physical forms are changed in shocking ways after being exposed to energy from an alternate and dangerous universe. Reed Richards (Miles Teller) and Ben Grimm (Jamie Bell) have been friends since childhood, when Ben started helping Reed build his prototype teleportation device. It is in high school when they attract the attention of Professor Franklin Storm (Reg E. Cathey), who is the director of the Baxter Foundation, a government-sponsored research institute for young prodigies. Reed joins the foundation and begins working with Storm's adopted daughter, Susan “Sue” Storm (Kate Mara), and eventually his son, Johnny Storm (Michael B. Jordan). Reed also gets to work with Professor Storm's wayward protege, Victor Von Doom (Toby Kebbell). Together, this quartet builds a device called the “Quantum Gate,” which opens a way to “Zero,” a planet in an parallel dimension. Awaiting those who travel to “Zero,” however, is energy that will change them in unimaginable and fantastic ways. Fantastic Four isn't a good movie, but it isn't a terrible movie. It is like flavorless chewing gum. The gum might start with a lot of promise, but pretty soon you're just chewing for the sake of chewing and the flavor is gone. That is this Fantastic Four reboot. It starts off with promise, but pretty soon, the story seems to be just going through the motions, and I was simply watching it out of habit, waiting for the end credits to roll. Fantastic Four 2015 is mostly build-up. In some ways, it is like a long teaser for another movie, the real Fantastic Four (or “FF”) movie that is “coming soon.” What we get with this new movie is something akin to a prologue or an overly long introductory act. In fact, this film's big villain, called “Doom,” rather than Doctor Doom, does not show up until the last 10 or 15 minutes of the movie. I think that there are a kernel or two of good ideas in this new Fantastic Four that could become something good... in a second movie... produced by an entirely different group of people. I think that the special effects for Reed Richards' (Mr. Fantastic) stretching powers is much better than it was in the 2005 and 2007 Fantastic Four films. Ben Grimm (The Thing) looks better in this reboot than in the earlier films. Hard as it is to believe, Kate Mara as Sue Storm is worse than Jessica Alba as Sue in the first two films. I like Michael B. Jordan, but his Johnny Storm (Human Torch) is stiff compared to Chris Evans' rascally Human Torch from the earlier films. Overall, director Josh Trank has made a Fantastic Four film that is actually less entertaining than Tim Story's uneven 2005 and 2007 FF films. I wouldn't recommend this even to comic book fans. It is so mediocre and uninspiring that it isn't even awful enough to be an enjoyable “bad movie.” It is like the ultimate average and bland film. This Fantastic Four makes it clear that 20th Century Fox should just stop making Fantastic Four movies.